“Noi, Dolomiti UNESCO”, the television series commissioned by the UNESCO Dolomites Foundation that tells the life of those who live in the valleys of the Dolomites, is currently being broadcast in Trentino and South Tyrol. The Trentino TV and Alto Adige TV stations have decided to air 14 episodes: on Trentino TV every Saturday at 10:30 a.m. and on Sundays at 2:45 p.m. in January and February 2019; on Alto Adige TV every Saturday at 9:15 p.m. and repeated on Sundays at 6:30 p.m. and Mondays at 11:00 p.m. There will be a second season in spring-summer. 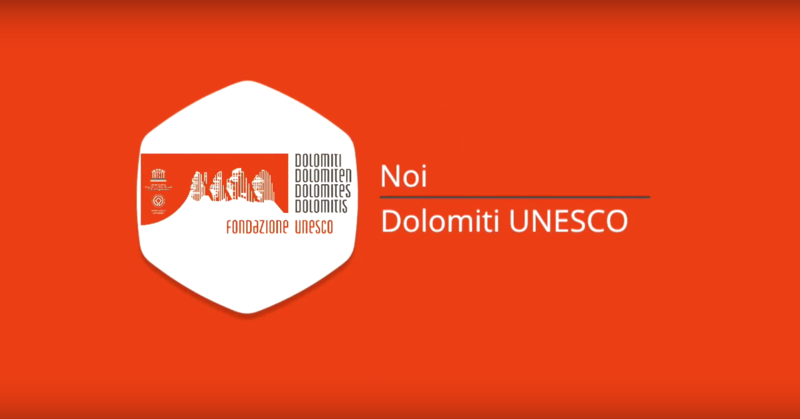 Anyone who has already seen at least a few of the 14 episodes made, also available on the YouTube channel of the UNESCO Dolomites Foundation, will know that the series is about faces and voices, and not postcards from individual territories, and nor does it pretend to be a documentary as such. It consists instead of footage offering glimpses of the daily life, points of view and stories of those who live in the valleys of the Dolomites and those who work in direct contact with the Heritage and its values. It also, of course, covers the many events organised directly by the Foundation. These events, as you will have noticed reading this newsletter, will be many in the year of the tenth anniversary. We are therefore preparing a new season of “Noi, Dolomiti UNESCO” which is packed with stories and provides much food for thought: the purpose of the tenth anniversary is not so much about celebrating the event, but rather to remind us once more of the purpose of UNESCO recognition, awareness of which must first be spread among the local inhabitants. It is to them, in fact, that the programme is dedicated: it is not just a way to talk about the people of the Dolomites, it is also a way to make those people talk to each other, learn about the concerns and resources of the neighbouring provinces, and overcome their distrust due to the different traditions and statutes, and sometimes even the different languages spoken in the Dolomites. Needless to say, this goal can only be achieved by broadcasting the programmes in all five provinces of the area.